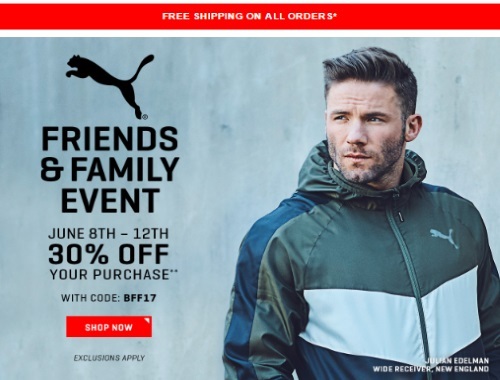 PUMA has a Friends & Family Event on now! Save an extra 30% off your entire purchase! Click here to browse PUMA.